Source: NZ Institute of Forestry (NZIF), 'Salary Survey 2017', December 2017. Chances of getting a job as a forest manager are good due to strong demand and few forestry graduates. Pay for forest managers varies depending on experience. Forest managers with up to two years' experience usually earn between $45,000 and $60,000 a year. Forest managers with two to five years’ experience earn between $60,000 and $85,000. Senior forest managers with specialist responsibilities, such as harvesting or silviculture management, earn between $95,000 and $140,000. monitor forest growth and health, security, fire prevention, and other maintenance activities. work in offices and on-site at forests. Shideen Nathan-Ngaronoa talks about her experience at the Forestry Industry Big Day Out in Gisborne - 2.06 mins. My name’s Shideen Nathan-Ngaronoa and I’m a Year 13 student at Campion College in Gisborne. We had talked about an upcoming Forestry Big Day Out that was hosted by Careers NZ. This was an opportunity I was definitely going to take so we went to the Level 5 and above course, which was for forestry management and it was a great day. It was really good. Careers NZ definitely did a good job with providing that and it just gave me a better insight on the other career choices of being in the forest and not just using a chainsaw. In the holidays, the first school holidays, I went out with someone who I knew who was a forestry contractor – forest manager contractor – and we worked on the silvicultural part of the forestry industry. I am doing a first cut of planting. After the holidays I was pretty much sold on being a part of the forestry industry. I came back to school, talked to my careers adviser. We got in contact with Tūranga Ararau to set up some further study to do with the forestry industry. That was working in partnership with my school subjects and my career choice through the Gateway programme. I wanted to do experience because it gives me insight as to what they actually do around here rather than just going to university and coming here as a manager and just working off paper. You know, I can... I know what the boys are doing and how to do it right and next year I plan on doing the first year of my forestry management diploma at Tūranga Ararau and then the second year at Waiariki Institute of Technology. After that I do not know where I would be going but hopefully either uni or a job in the forestry industry. 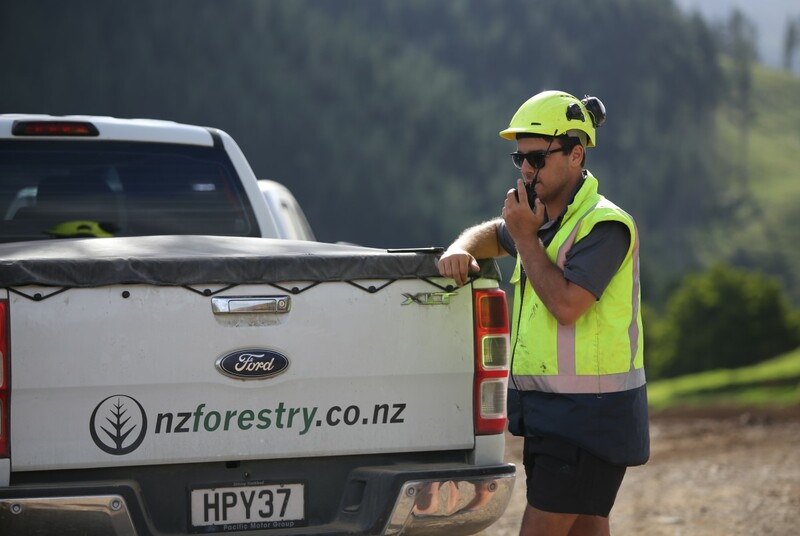 a degree in forestry science or forest engineering (Level 8) from the University of Canterbury. A marketing and business qualification or management experience may also be useful for forest managers. You also need to have a driver's licence. If you have business or accounting skills gained from another industry, you can move into a forestry management support role. From there you can work towards gaining technical forestry knowledge and moving into a forest manager position. A tertiary entrance qualification is required to enter further training. Useful subjects include agriculture and horticulture, maths, biology, chemistry and English. Forest managers need to be reasonably fit and healthy as they may walk long distances. the Government is investing in forestry research and sustainable forestry programmes to increase the plantation area on land suitable for growing forests, and forest managers are needed to oversee this. It's an advantage for forest managers to have technical skills and experience because the job increasingly involves using apps and drones to collect forest data. It's possible to learn these skills on the job or get support for training. large forestry contracting businesses that require management skills and expertise. Forest managers can also be self-employed and work as consultants. Competenz website, accessed July 2018, (www.competenz.org.nz). Friday Offcuts website, accessed July 2018, (www.fridayoffcuts.com). Ministry for Primary Industries, 'Permanent Forest Sink Initiative', June 2018, (www.mpi.govt.nz). Ministry for Primary Industries, 'Situation and Outlook for New Zealand Agriculture and Forestry (June 2018)', 2018, (www.mpi.govt.nz). New Zealand School of Forestry website, accessed July 2018, (www.forestry.ac.nz). Waldegrave, J, managing director, NZ Forestry, careers.govt.nz interview, July 2018. Many forest managers start by supervising forestry contracting crews, and gaining operational experience. They can then progress to senior forest manager positions or become forestry consultants. Forestry and logging workers plant, maintain, measure, cut and clear trees from forests.